Overture Crabtree is a brand new luxury apartment community that has it all for 55+ modern living: spacious homes, upscale amenities, an active environment, and a thriving social life. A refreshing change from the standard apartment community as well as the tedious responsibility of homeownership and maintenance, the community lets you make the most of every moment. If you are looking to right-size or simplify your current lifestyle, Overture Crabtree is the perfect place to live. A total of 203 luxury apartment-homes are planned with more than 12,000 square feet of indoor amenity space. In order to showcase all that Crabtree has to offer, a Leasing Showroom has opened at 2245 North Hills Drive on the second floor of Crabtree Valley Dental. Prospective residents can visit the showroom to preview community amenities and review a variety of floor plans. Overture Crabtree’s one and two-bedroom apartment homes range in size from 660 to 1,366 square feet with gourmet kitchens, prep islands, three-inch granite countertops, tiled backsplashes, custom cabinetry, and stainless steel appliances. Floor plans incorporate features such as wood-style plank flooring, nine-foot ceilings, spacious bathrooms with spa-style showers and soaking tubs, walk-in closets, full size top-load washers and dryers, and private balconies or patios in select units. With lifestyle and service as key pillars of the community, Overture Crabtree will offer daily continental breakfast, Sunday brunch, fitness and cooking classes, happy hours, game night, and wine tastings in thoughtfully designed amenity spaces. A full-time activities director will be on staff to direct a full-time program of activities and coordinate a la carte services (housekeeping, personal trainers, etc.). Additional amenities will include a residents’ clubhouse, saltwater lap and swimming pool, demonstration kitchen, coffee bar and bistro, game room, theatre, yoga studio, fitness center, full service salon, and a business center. Overture Crabtree is conveniently located in the heart of Raleigh at 4408 Marriott Drive in the Crabtree area. “When all you want is Everything,” Overture Crabtree fills the bill. 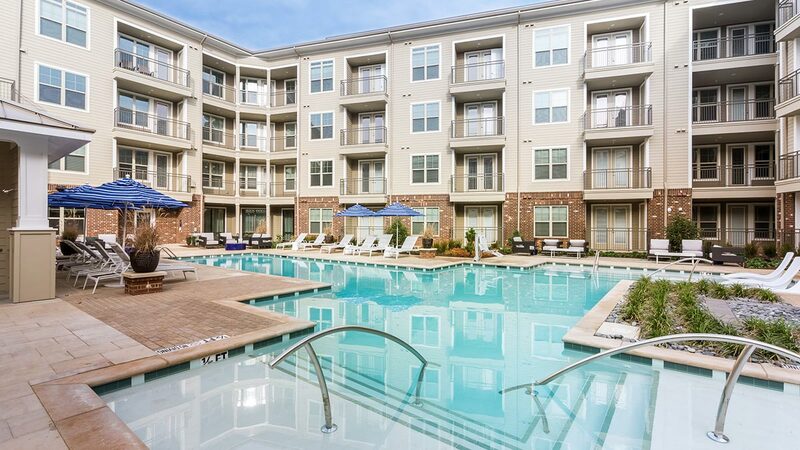 Its convenient location is within a five-mile radius of Downtown Raleigh, North Hills Mall, and Cameron Village, and within walking distance of restaurants, shopping, and recreation. First units at Overture Crabtree are planned to be available in the fall with construction fully completed by Winter 2018. For more information, visit OvertureCrabtree.com.